A Seattle man testing the limits of video recording at airport checkpoints and ID requirements to fly in the US has been acquitted of all charges laid against him. In a challenge against the commonly held beliefs that you can’t video agents in public places and you need to show ID to fly in the US this fellow was victorious. Not only did he win but he got on the record point blank answers to some powerful questions that the government doesn’t want you to have. You do have rights. Unfortunately, claiming them and defending them can leave you exhausted and lighter in the wallet when ignorant “official” power trippers call the police when you exercise your rights, instead of recognizing you are right, not to mention a equally ignorant police officer shows up and arrests you instead of straightening out the TSA agent. Why can’t “they” just obey the law and respect the person who cares enough about their right to first know them and second claim them? Because “they” know only what they are told, think they can do anything and who knows what else…. Despite calling themselves “officers”, TSA checkpoint staff are not law enforcement officers and have no police powers — and both TSA and police are fully aware of this. When the TSA calls for the police, they are just like any other civilians who call the police, and the police have no obligation to do what they ask. Police should not act, and have no right to act, in such a case, unless the police have a reasonable basis for believing that a crime has actually been committed or is being committed. You have the right, recognized by the TSA, to fly without showing ID. “It happens all the time. We have a procedure for that,” according to the lead TSA “Travel Document Checker” at the Albuquerque airport. 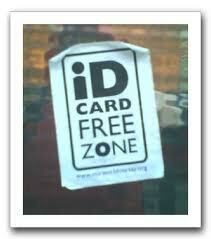 Signs and announcements in airports saying that all passengers must present ID are false. You have the right, recognized by the TSA, to photograph or film anywhere in publicly accessible areas of airports including TSA checkpoints, as long as you don’t violate any local laws, photograph the images on the screening monitors, interfere with the screening process, or slow down the line. (Whether those limitations to your First Amendment rights claimed by the TSA are legal or Constitutional was not decided in this case, since Mr. Mocek wasn’t filming the images on the screening monitors, interfering with the screening process, or slowing down the line.) Signs or statements that photography is prohibited at Federal checkpoints are, in general, false. Watch the videos and read more here…. The right to video police is a hot topic and has proven to be the decisive factor in many instances of police brutality being properly investigated. Here’s another video on the topic showing the continuing need to video police and the gross injustices private citizens face for exercising their right to video versus the punishment for police caught red handed on video in obvious criminal activity. 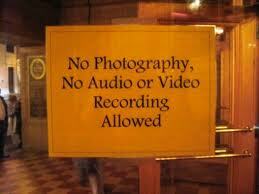 Do you think “they” really don’t want their criminal behaviour recorded? Private property is it really non-existent? 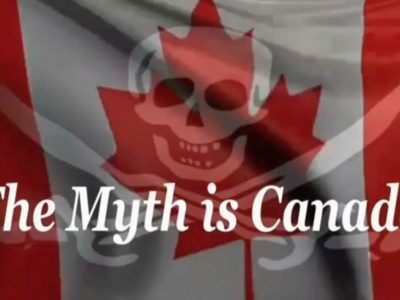 Doug Force explains some of the legal and lawful background information that explains how Canada doesn't really exist and doesn't have a constitution.